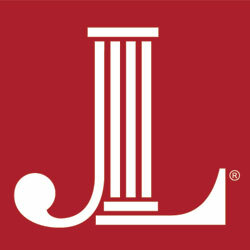 The Junior League of Austin was admitted to the Association of Junior Leagues International (AJLI) on February 9, 1934; however its history begins in July 1930 when a group of members of the Settlement Club organized the Junior League Settlement. This name was used until November 1931 when as a petitioning League to the Association, it was renamed The Austin Service League. At the time of acceptance into the Association, The Junior League of Austin had fifty Active members. Throughout its more than seventy year history, the league has demonstrated its commitment to voluntarism and community service through its projects. The projects awarded funding by the League are listed here. League members volunteer in all funded projects as well as in other community placements each year. The Junior League of Austin has been committed to training members for community leadership and to promoting voluntarism. All JLA members are committed to building a better community through voluntarism. In the state capital of Texas, we pride ourselves on being far from ordinary – we celebrate being ‘weird’. In a mostly conservative Texas, Austin is “Weird” because it continues to be progressive in the arts and music. Austin has become an internationally recognized hot spot for creativity and embraces its community of musicians, artists, entrepreneurs and progressive thinkers. We’re known for being the Live Music Capital of the World®, a title that we take pretty seriously with nearly 200 live music venues. The Junior League of Austin has more than 2,500 Active and Sustaining members committed to promoting voluntarism, developing the potential of women, and improving the community through the effective action and leadership of trained volunteers. Over the years, The Junior League of Austin (JLA) has contributed millions of dollars to programs and agencies that benefit the Austin community. Our membership includes executives, community leaders, entrepreneurs, mothers and professional women from diverse backgrounds. Connections –to communities in need, to people we serve and to those we serve with. Training for effective community service and leadership, including finance, fundraising, leadership, public relations and marketing, advocacy and personal development. Awareness of community needs and opportunities to contribute to solutions. Interaction and partnerships with community leaders. Leadership Development – opportunities to serve on community Board of Directors and chair committees that make an impact in the community. An Active member may elect Sustaining membership at the end of the fiscal year in which she attains 40 years of age, but must elect Sustaining membership by the end of the fiscal year in which she attains 45 years of age. All requests for this change must be made in writing to the Membership Development VP before April 1st. The member must end the fiscal year in good standing to go Sustaining. An Active member must have served a minimum of three (3) years as an Active member, excluding any leaves, before she may become a Sustaining member.